Ozarks Farm & Neighbor was first published on Sept. 1, 1998, and was originally mailed to livestock-tax payers in nine counties in Missouri. We have now more than quadrupled our coverage area and continue growing, reaching more than 61 counties across the Missouri, Arkansas and Oklahoma Ozarks. Ozarks Farm & Neighbor has quickly become the Ozarks’ most read farm newspaper. 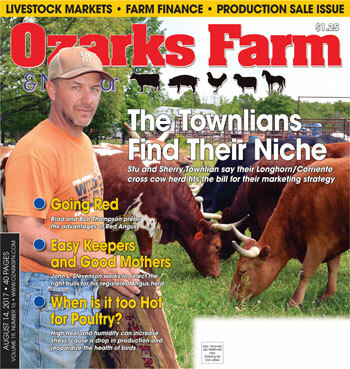 Ozarks Farm & Neighbor – Missouri is published every three weeks and mailed to livestock producers and farm families. Ozarks Farm & Neighbor – Missouri reaches readers primarily in the following 28 counties: Barry, Barton, Bates, Camden, Cedar, Christian, Dade, Dallas, Douglas, Greene, Hickory, Howell, Jasper, Laclede, Lawrence, McDonald, Newton, Ozark, Phelps, Polk, Pulaski, St. Clair, Stone, Taney, Texas, Vernon, Webster and Wright counties. 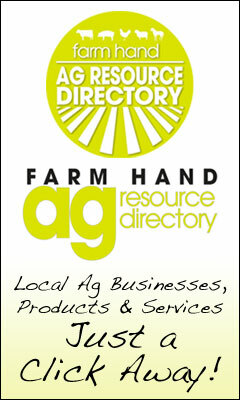 March 26, 2007 marked the debut publication for Ozarks Farm & Neighbor – Ark./Okla. Ozarks Farm & Neighbor – Ark./Okla. is published every three weeks and is mailed to livestock producers and farm families across northwest Arkansas and eastern Oklahoma. Ozarks Farm & Neighbor – Arkansas/Oklahoma reaches readers primarily in the following 33 counties: Baxter, Benton, Boone, Carroll, Cleburne, Conway, Crawford, Faulkner, Franklin, Fulton, Johnson, Logan, Madison, Marion, Newton, Pope, Searcy, Sebastian, Van Buren, Washington and White counties in Arkansas; along with Adair, Cherokee, Craig, Delaware, Le Flore, Mayes, Muskogee, Ottawa, Rogers, Sequoyah, Tulsa and Wagoner counties in Oklahoma.